An old wooden bridge over one of the creeks leading to Rt. 2, North Cascades in Washington State. Beautiful autumn scene, great landscape! Stunning fall colors and reflections. 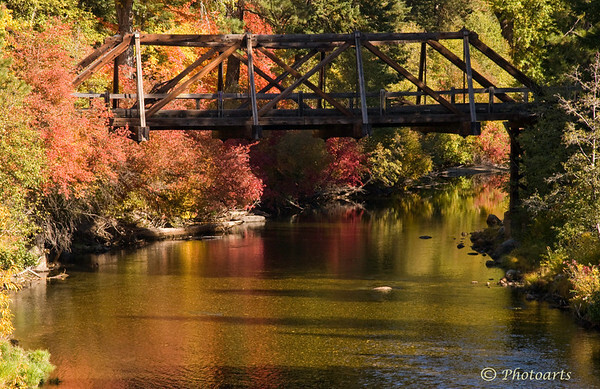 nice capture of the old railroad bridge at Index! Beautiful foliage! Love the reflection and the light! !